Brian Dorais said he didn’t kill his wife when she died during a house fire in the home they shared. 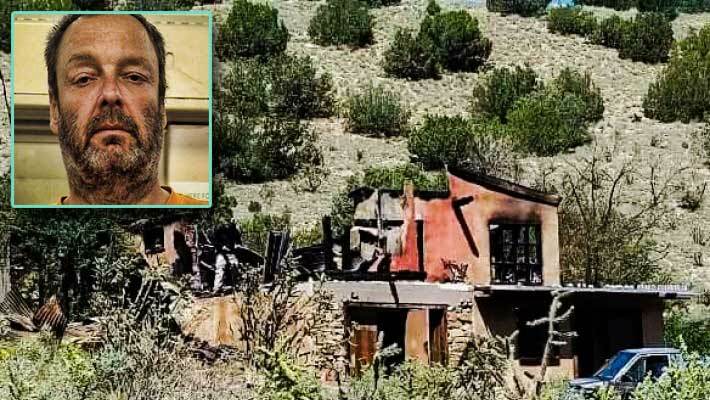 He was arrested after he tried to fire bomb towers on Sandia Crest, NM. 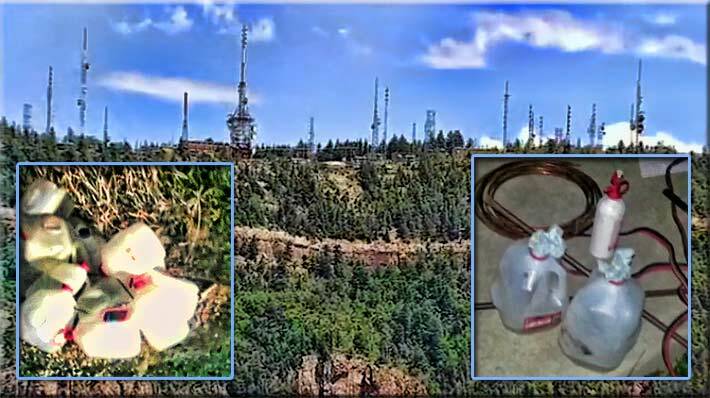 After an arsonist attempted to knock out more than a dozen broadcast towers on Sandia Peak in Albuquerque, N.M on Oct. 2, 2016 with gallon-sized Molotov cocktails, a Bernalillo County Sheriff’s Office spokesperson informed Wireless Estimator that they had identified a suspect, but would not release his name. On Oct. 18, 2016 they arrested 53-year-old Brian Dorais of Madrid for attempting to blow up the Sandia Peak towers, filing a negligent arson charge as well as possession of a firearm by a felon; attempting to commit a felony; tampering with evidence; possession of burglary tools; aggravated burglary and extreme cruelty to animals. Dorais had been on the sheriff’s department’s radar, according to court records, when the house he owned with his wife, Sherry Ballow-Watts, 69, caught fire on Sept. 10, 2016. Dorais escaped the fire, but the remains of Sherry were found inside the charred building on Sept. 11, 2016. The New Mexico Office of the Medical Investigator, based in Albuquerque, took custody of Ballow-Watts’ remains and performed an autopsy to determine the cause of her death, but it has not been released to date. Following the fire, Dorais informed deputies he was a paranoid schizophrenic and was taking medication. He said his wife dabbled in black magic and believed the world was going to end soon. When investigators asked if he started the fire, killed his wife or had any intentions of hurting his wife, he said, “No,” according to investigators. Following the fire, a friend set up a Go Fund Me site that raised $3,211 to assist with Dorais’ wife’s burial and to help Dorais recover from the tragedy. Other friends and neighbors rallied around Dorais and held a fund raiser at a restaurant along with a silent auction on Oct. 6, 2016 for donated gifts from local shop owners. Those attending didn’t know that on Sept. 30, 2016, Dorais visited a U.S. Forest Service building and asked who had authorized the placement of the towers on top of Sandia Crest, approximately 35 miles from his home, according to authorities, and that a warrant was out for his arrest for trying to set them on fire two days later. Had Dorais been successful in setting all of the equipment buildings on fire, had he not been interrupted by two onsite engineers who noticed a “yellow glow” coming from a transmitter building, the damage could have been considerable since he had 17 milk jugs filled with gasoline. 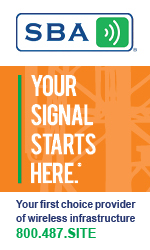 “The destruction of this equipment would result in a complete and total blackout of communications throughout the Albuquerque Metropolitan area and interrupted these communications throughout the Southwest,” a deputy wrote in the complaint. A startled Dorais jumped the tower farm compound’s fence and drove away in an SUV that was later found set on fire with the keys in the ignition. Detectives traced it back to his wife and when they tried to contact her to see if the vehicle was stolen they discovered that she had died just weeks before in the house fire on NM 14. Following the Sandia Crest arson, residents found a Doberman Pinscher that had suffered burns and was running loose. It was one of the two dogs owned by Dorais that escaped the Sept. 10 house inferno. Fire officials have still not publically released how the house fire started. Dorais is being held at the Metropolitan Detention Center on $15,000 bail. Seventeen gallon-sized Molotov cocktails were found at the Sandia Crest site. Engineer Wayne Kootz took a photograph of two of them as well as jumper cables.